Mount Rainier is the most heavily glaciated peak that can be found in the contiguous United States. Every year, numerous earthquakes are recorded near the Mount Rainier summit. In fact, several earthquakes are usually recorded near the summit on a monthly basis. It is believed that they are caused by the circulation of hot fluids beneath the mountain. Mount Rainier was named by Captain George Vancouver in honor of his friend, Rear Admiral Peter Rainier. Vancouver was the first European to lay eyes on the lofty peak. Mount Rainier, or the Mountain, as it is known to many Washington residents, is a massive stratovolcano that can be found approximately 55 miles southeast of Seattle. On days when the cloud cover isn't too heavy, you can see it looming in the distance from Seattle and many other northwest Washington cities. In fact, on very clear days, it can be seen from as far away as Portland, Oregon and Vancouver, British Columbia. Of course, the main reason why Mount Rainier stands out so clearly on many Pacific Northwest horizons is its lofty elevation. It is the fifth highest mountain in the contiguous United States and leads the way among the mountains in the lower 48 in relation to topographic prominence. More specifically, the topographic prominence of Mount Rainier is 13,211 feet. To put it in perspective, K2 - the second highest mountain on the planet after Mount Everest - has a topographic prominence of 13,189 feet. Mount Rainier is considered to be a relatively dangerous volcano. It actually figures among the 16 volcanoes that are on the dubious Decade Volcano list. This list highlights the most dangerous volcanoes in the world. Thankfully for regional residents, there is no evidence that an eruption is imminent. Historically, the mountain's early lava deposits are more than 800,000 years old, and the present cone dates back more than 500,000 years. It is interesting to note that over time, Mount Rainier was heavily eroded. In fact, the lofty peak likely stood more than 16,000 feet tall before it was shortened by a hefty debris avalanche. 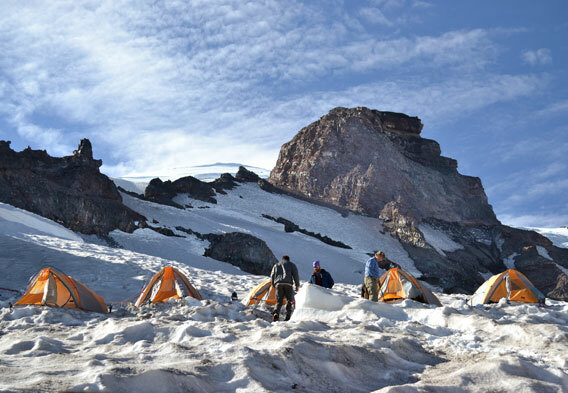 Camp Muir is a refuge for climbers, found on Mount Rainier's southeast flank. Named after famous naturalist John Muir, it's at an elevation of 10,800'. No other camp on the mountain is more used by climbers attempting to summit, and the public shelter is available on a first-come, first-served basis. There is also a guide shelter. Both are basic. Camp Muir provides access to approaches that lead to the Mount Rainier summit, and in 1991, it was placed on the National Register of Historic Places. John Muir climbed Mount Rainier in 1888 and was among those who led the charge to protect the prominent peak and its immediate environs. Mount Rainier isn't exactly the easiest mountain to climb. 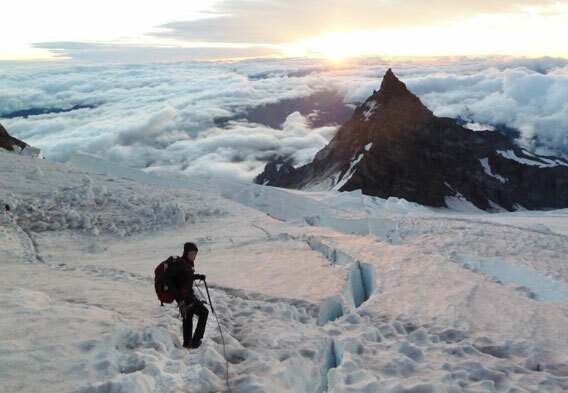 There are large glaciers to traverse, and should you wish to reach the summit, you will have to take on a vertical elevation gain of more than 9,000 feet. Of course, climbers must also consider the weather. It can change very quickly, and it is always a good idea to get a current weather forecast before attempting a trip to the top. 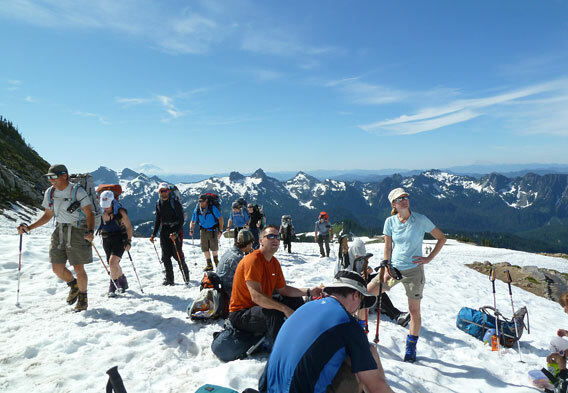 On average, somewhere between 8,000 and 13,000 people attempt to climb to the top of Mount Rainier on an annual basis, and about half of those people are successful. More often than not, it takes at least two or three days to complete a full climb, and all climbers must register and pay a climbing fee before they even think about strapping on their crampons. Solo climbs above the high camps and on the glaciers can only be undertaken with prior permission from the park superintendent. Check out this video of climbers who reached the Mount Rainier summit. If you're not up for climbing Mount Rainier, but you still want to get out on the mountain and enjoy the magnificent views, you can always go hiking. There are plenty of wonderful trails to take to, and a permit isn't required for day hiking. Some of the hiking trails in Mount Rainier National Park take trekkers to the backcountry. One such trail is the Wonderland Trail, which actually circumnavigates Mount Rainier's peak. It should be noted that hikers who wish to camp in the Mount Rainier wilderness must obtain a camping permit. Paradise is the most highly visited area that can be found in Mount Rainier National Park. Set at an elevation of around 5,400 feet, it is found on Mount Rainier's south slope and features the park's main visitor center - the Paradise Jackson Visitor Center. Also found at Paradise is the historic Paradise Inn (1916), the Guide House, and the old Paradise Ranger Station. The Guide House now serves as the Paradise Ranger Station for all intents and purposes, and it is home to the Paradise Climbing Information Center. 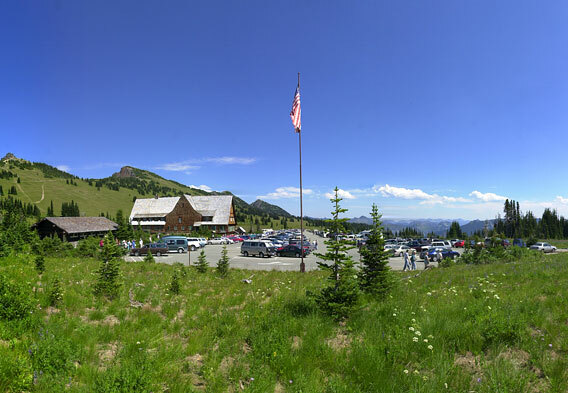 At the Paradise Climbing Information Center, it is possible to obtain permits for climbing, hiking, and backcountry camping. If nothing else, Paradise visitors can come to enjoy the magnificent views. When the weather warms, the area's famous wildflower meadows come alive.